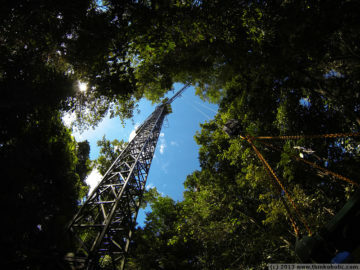 what is a 55 meter jib liebherr crane doing in the middle of the rainforest? it’s certainly not making a lot of noise, when moving the crane box through the canopy! there’s some more information in my earlier post.